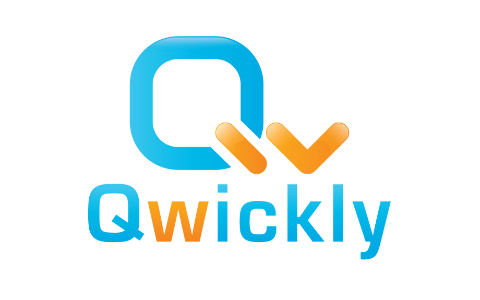 Store Student Data with Qwickly: Qwickly will save user information such as name, username, etc. By default, Attendance LTI gets all it’s data via REST APIs and saves no user values. Enabling Data storage with Qwickly allows up to save the data obtained via REST APIs allowing for quicker retrieval in the future and enhances the tools performance. More information on this setting can be found here. Allow Absence Email: Instructors can choose to send emails to students marked absent in their courses. Manage Custom Associated IDs for students: Instructors can assign an ID for each individual student which can be used as an alternate identifier, especially for Card Reader mode. Full Export: This allows you to download all the attendance data from your instance. There is also a static URL link (found in the Link to Download) which downloads the export file directly. User Default for all absence emails: If this is selected, all absence emails sent from your institution will follow the default template defined in the previous setting. Photostore URL: Set the URL from which photos will be accessed. Include any necessary webservice keys and place '[identifier]' where the student identifier should appear. Student Identifier: Set the field used for identifying students. This value will be appended to the above URL when requesting photos. Optional Encryption: No default encryptions currently supported in Attendance LTI. if you would like more information on this field, please contact Qwickly. Test Image: If correctly configured, this field uses the Photostore URL and Student Identifier to display an image to let you know your configuration is accurate. Alternate Identifier On/Off: Use an alternate identifier for your instance's card reader attendance. The default identifier (when Alternate Identifier is turned off) is the SIS ID. Alternate Identifier Values: A list of potential alternate identifier values. Add Semester: Add a semester that your courses will be able to select when configuring their courses. You can give your semester a name, a code, a start and an end date. The example semester has been configured with the name "Fall 2018", the code "FA2018", the start date 2018-10-01 to 2018-10-31. Select Current Semester: The semester that has been chosen as the "current semester" is the first option the instructors of a course will see when they are setting up their courses. Instance URL Name: Assign a unique keyword to get a unique URL, which your instructors can then navigate to to log into Qwickly Attendance. This feature is limited in it's release for the time being. If you are interested to find out more, please contact Qwickly. Session Duration: Duration (in minutes) of the scheduled attendance session.